Have you seen The Well Viking September 2018 issue? Meet the Paly Wellness Center staff, brush up on Back to School Tips, and take a few deep breaths to calm body and brain. 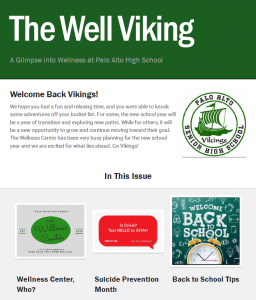 Find links to the first and subsequent issues of The Well Viking on the Paly PTSA Wellness Events/Resources web page under the topic of Wellness Newsletters. 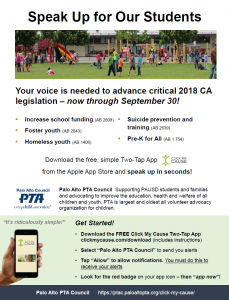 Your voice is needed to advance critical 2018 CA legislation–now through September 30! Palo Alto PTA Council Supporting PAUSD students and families and advocating to improve the education, health and welfare of all children and youth. PTA is largest and oldest all volunteer advocacy organization for children. Paly PTSA New families Welcome Gathering this Thursday 4pm here at the Paly Courtyard by the main entrance of the “Tower.” Drop your new student(s) off at 4pm for their orientation and Pizza dinner and informally get to know other families and chat with our new Principal Adam Paulson and his right hand Carolyn Benfield. 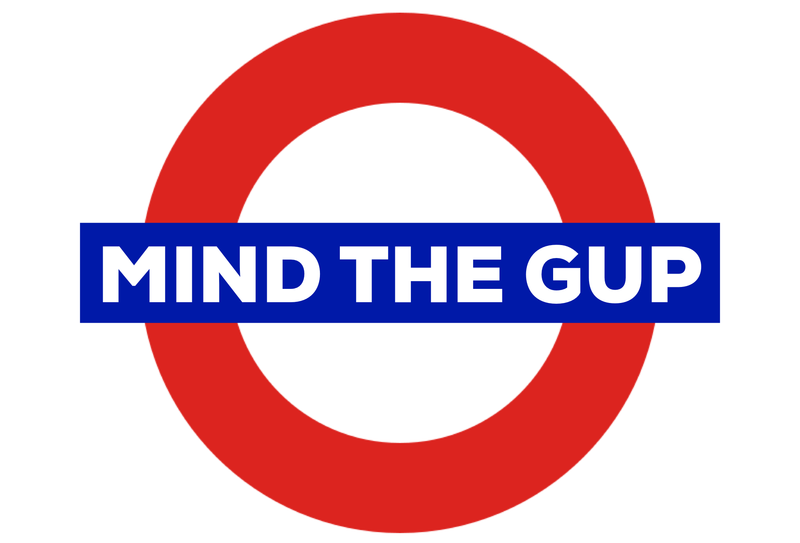 We will have cool beverages and light snacks at this informal and relaxed gathering. Looking forward to a wonderful 2018-19. Your Paly PTSA President Elizabeth Olson, EVP Melinda Zschietzschmann and the Paly PTSA 2018-19 Board. Paly PTSA is a 501c3 organization. Our tax ID number is 94-6184932.